Srinagar: Political temperatures have steadily risen in Jammu and Kashmir and rival parties are now engaged in a no-holds-barred battle to score brownie points against one another to win the upcoming Lok Sabha elections. Former Chief Minister and National Conference (NC) Vice President Omar Abdullah, while addressing a party gathering in south Kashmir's Kulgam district on Monday, said: "I feel the ban on the Jamaat-e-Islami cadres is some kind of a fixed match. It is like what we sometimes hear about the IPL matches." "Mehbooba Mufti is today championing human rights. Where was she in 2017 when a youth in my assembly constituency was tied to the bonnet of a jeep and paraded through the area," he asked. Talking to the media on the sidelines of the Kulgam function, Andullah alleged that the sprouting of political parties around election-eve in the Valley appears to be part of a greater conspiracy to divide the people's voice in the region. "Why have no new political parties come up in Jammu and Ladakh over the years? Why are new political parties created in the Valley around each election?. I can be wrong, but I feel there is a design to all this. More and more parties are created in the Valley to divide our voice," he said. Taking strong exception to Omar Abdullah's allegation, Sajad Gani Loni, president of the Peoples Conference (PC), said while addressing his supporters in Kupwara district on Monday: "I cannot understand what is wrong with the thought process of Omar Abdullah. Have the people only to choose the NC and its leaders so that the autocratic rule of the (erstwhile) Maharaja is replaced by this family?" "When Shah Faesal (who resigned from the IAS to enter politics) intended to join the NC, he was fine, but when he chose to float his own party, he has become an agent of Delhi for the NC. "Omar and his father, including their family, are protected by 600 guards. There are people in politics who have just one or two security guards. Statements like this endanger the lives of political rivals." Lone went a step further to allege that the NC and its leaders had become 'white collared killers'. Continuing its no-holds-barred attack on the NC, the Peoples Democratic Party (PDP) issued a statement on Monday alleging that the politics of NC had become hostage to the alleged involvement of Dr Farooq Abdullah in a cricket scam. "NC has become a puppet whose strings are pulled by people in the power corridors of New Delhi", PDP leader Naeem Akhtar said in the statement. Akhtar also alleged that Dr. Abdullah was, on one hand, claiming to support the 'mahagathabandhan' or grand alliance on the national level, where he would make no difference, while within the state, where he could make a difference, he was ensuring that the BJP does not face a united opposition. Shah Faesal, fhe former IAS officer who launched his new political party, Jammu and Kashmir People's Movement (JKPM) on Sunday, said all the mainstream politicians in the state are living under a perpetual state of mental siege. "All mainstream politicians are living under a state of mental siege. Unless the state of siege is removed, how can anyone claim to be working for the good of the people? "In my ten years in civil service, I believed that addressing issues of roads, electricity and safe drinking water would bring in peace in Kashmir. As a doctor, I have realised that my diagnosis was wrong. Unless we address the sense of siege under which our youth are living, nothing else will work," Faesal contended. In another development, Engineer Rashid who represented the north Kashmir Langate assembly seat, refuted news reports that he had decided to support the NC in the Baramulla constituency during the Lok Sabha elections. "Ours is the only party that stands for a peaceful resolution of the Kashmir issue in line with the aspirations of the people. I have not supported any party candidate so far. I am in politics and I am not a recluse. I will announce my decision to support a candidate for the Lok Sabha polls at the right time", Engineer Rashid, who heads the Awami Insaaf Party (AIP), said. Meanwhile, the prospects of a pre-poll alliance between the NC and the Congress are still in the doldrums. 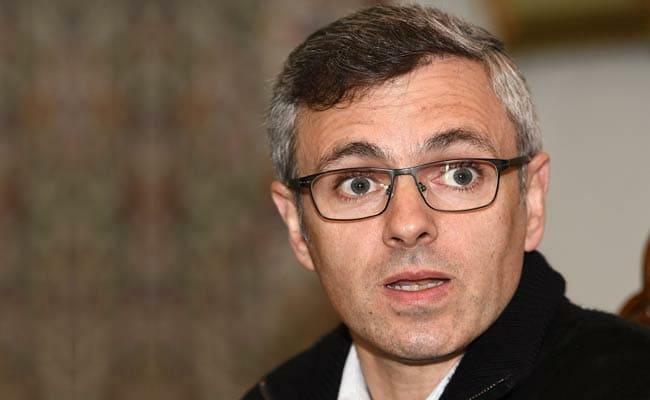 Omar Abdullah has made it clear that any pre-poll alliance is only possible once the NC's right to field candidates for all the three Lok Sabha seats in the Valley is accepted. "This has been conveyed to the Congress. We are ready to support the Congress in the two Lok Sabha seats in the Jammu division," NC sources said. While the NC has already announced candidates for the Srinagar and Baramulla Lok Sabha seats, it is yet to name its candidate for the Anantnag seat. Dr. Farooq Abdullah will seek re-election from Srinagar and senior NC leader Muhammad Akbar Lone is being fielded from Baramulla. A meeting of the NC leaders was being held in Srinagar late Monday to chalk out the strategy for the Lok Sabha elections and also discuss the possibility of a pre-poll alliance with the Congress party. The meeting is being attended by Dr.Abdullah, Omar Abdullah and all senior l eaders of the party. Reacting to the NC's pre-condition for a pre-poll alliance with the Congress, state party president G.A. Mir said: "The decision on an alliance with the NC would be taken by the party high command.